For Italian intellectuals, the terms fascist and antifascist continue to be the hard currency of contemporary political debate. When Professor Renzo de Felice suggests that fascism describes a moment in the Italian past--and only that--he is challenging the very heart of current orthodoxy. His ideas about fascism have a broad significance and represent a radical departure from conventional wisdom. 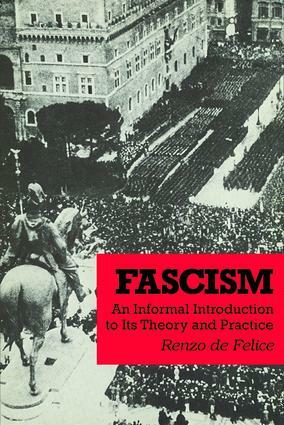 This book remains important because of de Felice's vast knowledge of fascism and rigorous historical analysis. This dialogue between de Felice and American scholar Michael Ledeen ranges from empirical research on the history of Mussolini and the Fascist Regime in Italy to seeking a definition of fascism and determining its general characteristics.